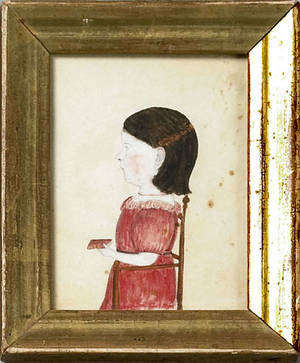 American School(19th c. ) , watercolor and pencil profile portrait of a young girl holding a book, 3 1/2" x 2 1/2". Provenance: David Wheatcroft. American School19th Century Portrait of a Young Woman.